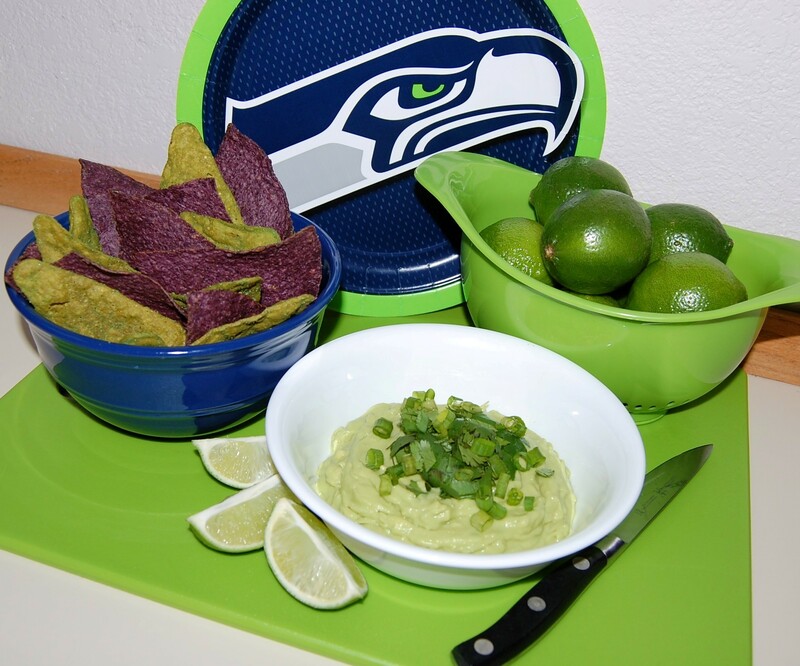 Guacamolé served Seahawks Style with Blue and Green tortilla chips! In a medium bowl, mash avocados. Stir in lime juice, garlic, and salt. Garnish with fresh chopped cilantro, and green onions. Serve with Blue and Green corn tortilla chips. 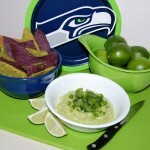 Cook's Note: I purchased Simply Tostitos Blue Corn chips & On The Border Guac Blast tortilla chips.